"This was an academic achievement ceremony where you are supposed to celebrate children. This had nothing to do with honoring the child." A first-grade teacher at Evangeline Elementary will be disciplined after giving a student “awards” for class clown and most talkative. 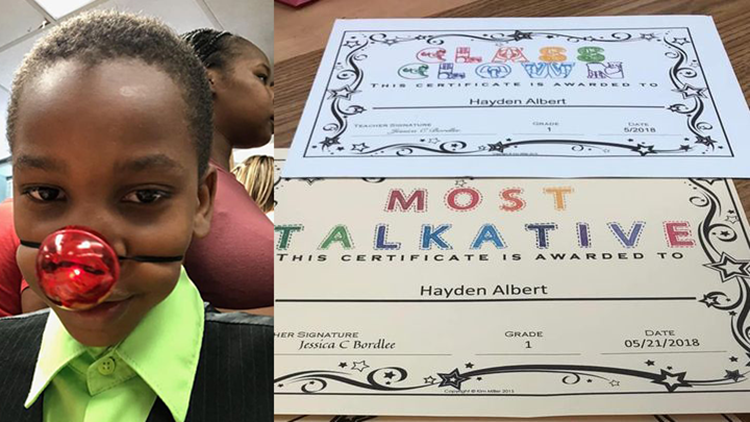 Family members said Hayden Albert, 7, received the certificates in front of his classmates and their parents during a Monday ceremony at the school. In addition, the teacher, Jessica Bordlee, gave Albert a plastic red nose to wear in front of the class. Joe Craig, chief administrative officer for the Lafayette Parish School System, said officials learned of the incident Wednesday after The Daily Advertiser contacted them. Shaneka Hayes, Hayden’s grandmother, said she arrived in the classroom shortly after the ceremony began. Hayden already had received his certificates, she said. Hayes said she immediately felt something was “not right” when she saw the certificates. Craig said the principal of Evangeline Elementary, Felise Williams, learned of the incident via Facebook and has met with the teacher. Bordlee has apologized to the family, Craig said. 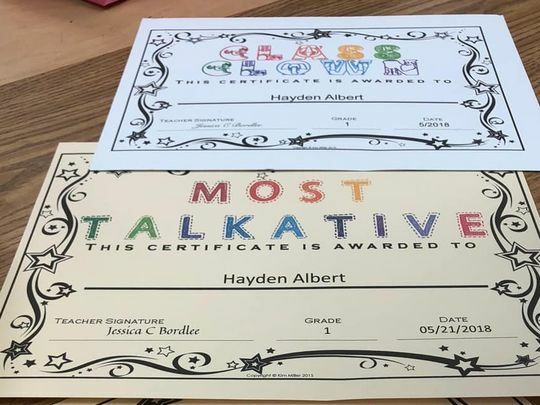 In an apology voice message obtained by The Daily Advertiser, Bordlee told Hayden’s family that she was sorry if they were offended by the class clown award and that it was not intended in a negative way. She also said Hayden asked for the plastic red nose. School board records show Bordlee was hired and assigned to Evangeline Elementary in October 2017 in a new position due to enrollment increases. State records show she received her official teacher certification on Nov. 3, 2017 after completing an alternative teacher education program at the University of Louisiana at Lafayette. Contact information for Bordlee was not immediately available.